Mobile telephone manufacturing giant, OPPO, has unveiled its 10x “Lossless Zoom’’ android camera phone ahead of the 2019 Mobile World Congress (MWC) in Barcelona holding from Feb. 25 to Feb. 28. 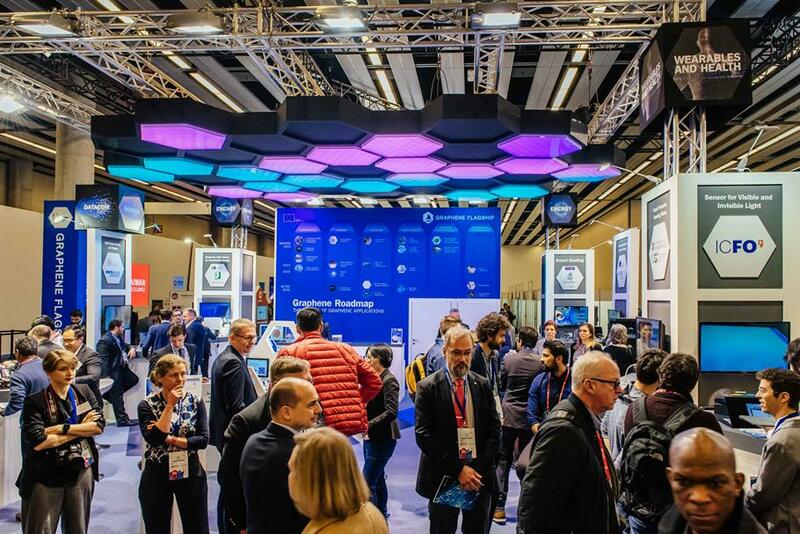 The GSMA Mobile World Congress is the world’s largest exhibition for the mobile industry, and incorporates a thought-leadership conference featuring prominent executives representing global mobile operators, device manufacturers, technology providers, vendors, and content owners. The Chinese company said on Saturday in Lagos at a “Media Meet and Greet’’ that it provided cutting edge smartphones to over 200 million people all over the world. “OPPO, as an important enabler of mobile imaging technology, has been continuously involved in exploring and innovating in the field of mobile computing optics. “As the pioneer of hybrid optical zoom technology, OPPO’s innovation also makes mobile photography one-step closer towards professional image quality. “That is why OPPO remains committed to being at the forefront of mobile phone photography,’’ its Public Relations Manager, Joseph Adeola said. He disclosed that on Jan. 20, 2019 in Dubai, OPPO announced its major breakthrough in smartphone camera technology with its 10x lossless zoom which simply meant that images captured by the OPPO cameras were just as good as photos captured on professional cameras. “This feat is enabled by OPPO’s triple-camera solution consisting of `Ultra Wide Angle + Ultra Clear Master + Telephoto’ features. “The ultra-wide-angle camera has an equivalent focal range of 15.9mm. “The primary camera guarantees photo quality, and the telephoto camera, with 159mm equivalent focal range, combined with the original `peep-up structure’’ to support high-magnification zoom, can ensure a high-quality long-distance shot. “All three cameras work at the same time to maximise their respective advantages, optimise imaging quality at various zoom ranges to achieve 10x zoom in a relay manner. “To maintain image quality at all ranges, OPPO has introduced dual OIS optical image stabilisation on both standard and telephoto cameras. “In addition to the triple-camera structure, OPPO’s pioneering `periscope structure’ is also paramount to achieving 10x lossless zoom. “The periscope-inspired design makes full use of the width and thickness of the phone through the lateral arrangement and refraction of the lens set. “The space is saved, and the mobile phone can use a larger optical component under the premise of ensuring that the mobile phone body is thin and light, so that the mobile phone has a telephoto shooting capability,’’ Adeola explained. He said that OPPO uses the industry benchmark-level drop tests to ensure the reliability of the camera module. “Among them, the prism part experienced two rounds of drop tests, with each round consisting 10,000 times on the front and backsides, and 2,000 times on the remaining four sides, adding to a total of 28,000-drop tests. “As the `last surprise’ of this communication conference, OPPO also released a new wide zone optical fingerprint recognition technology, which effectively recognises an area up to 15 times of the current mainstream optical solution. “Users can unlock or pay by using fingerprint anywhere in the entire area,’’ Adeola said. He said the wide zone optical fingerprint recognition contains innovative functions, including two-finger simultaneous entry and authentication, which improves payment security, achieving a security level 50,000 times of that of a single fingerprint. “In addition, the next-generation solution also incorporates the `Optical Encryption’ feature. “Compared to the traditional two-step operations, where users have to activate the encryption application before they are able to unlock, all applications in the Optical Encryption Area can be activated, authenticated and unlocked with one click. “Products equipped with optical domain screen fingerprint technology will be launched in 2019, as suggested by an OPPO spokesperson,’’ Adeola said. The News Agency of Nigeria (NAN) reports that OPPO is an innovative smartphone brand ranked No. 4 in the world according to IDC. As at today, OPPO is popular for its stylish smartphone designs, quality photography experience and the status symbol it provides to its users. For the last 10 years, OPPO has been focusing on manufacturing camera phones with unparalleled photography technology breakthroughs. OPPO is the first mobile brand in the world to launch smartphones with 5MP and 16MP front cameras. OPPO was also the first mobile brand in the world to introduce the motorised rotating camera, the Ultra HD feature and the 5x Dual Camera Zoom technology. OPPO’s Selfie Expert F series launched in 2016 drove a selfie trend in the world.